EMN Ireland, the Irish National Contact Point (NCP) of the European Migration Network, has been located at the Economic and Social Research Institute (ESRI) since 2003. The ESRI has been involved in migration related research since its inception in 1960. ESRI research has investigated the impact of immigrants on economic growth, average earnings and the distribution of earnings and the occupational attainment of immigrants. 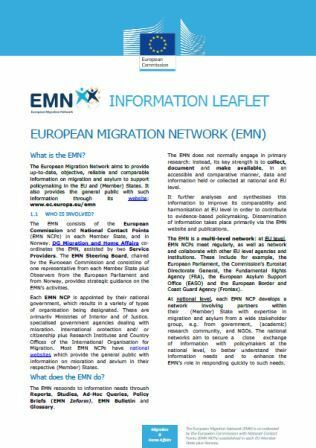 EMN Ireland is funded by the European Union’s Asylum, Migration and Integration Fund and co-funded by the Department of Justice and Equality.